Maya, coming from poor family, is married to the affluent Dr. Anand; but she tries to commit suicide on the nuptial night. She tells Anand that she was in love with Prem whose ambition was to be a music director. He too was in love with her but thought she would not be happy as his wife. Anand tells Maya that he had married her only for his mother who was on her death bed. 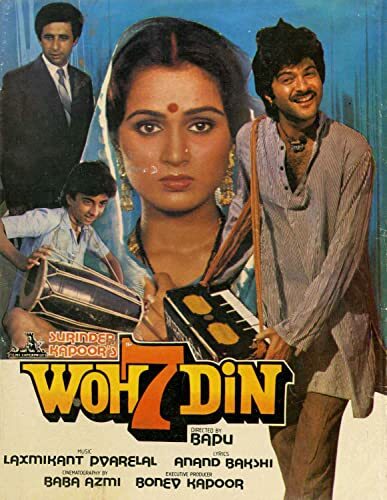 When the mother dies Anand wants to unite Prem and Maya but Prem says it is against Hindu culture and disappears from their life.Maya, coming from poor family, is married to the affluent Dr. Anand; but she tries to commit suicide on the nuptial night. She tells Anand that she was in love with Prem whose ambition was to be a music director. He too was in love with her but thought she would not be happy as his wife. Anand tells Maya that he had married her only for his mother who was on her death bed. When the mother dies Anand wants to unite Prem and Maya but Prem says it is against Hindu culture and disappears from their life.